Crete is an island with an exquisite 1,000 kilometer-long coastline dotted with numerous coves, bays and peninsulas, which afford a multitude of soft, sandy beaches along the beautifully blue Mediterranean Sea. After all, it’s among the finest in the world and has established Crete as one of Europe’s most popular holiday destinations. And, of course, the island’s historic importance in today’s world as the home of the Minoan civilization with important archeological finds at Knossos, Phaistos and Gortys, is evidenced by the tens of thousands of visitors to these sites each year. 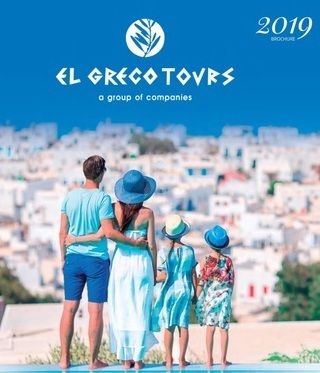 However, Crete is the largest island in Greece – the fifth largest in the Mediterranean – and, within its diverse area of more than 8,000 square kilometers, there are many other jewels just waiting to be discovered by the more adventurous explorers of holiday treasures. So, if you haven’t visited Crete yet, now is the time to come and enjoy the amazing Greek island. You are going to be in loved with the island, for sure! Crete will welcome you with its smiling sun, the characteristic sounds of the Cretan lyre, the big hectares of olive trees and the magic smell from the orange and mandarin fields. Do not hesitate to taste the unique hot beverages of our local herbs, like Diktamo, Faskomilo, Jasmine, etc and at the end of all your meals taste a glass of iced raki with a slice of cool red watermelon.